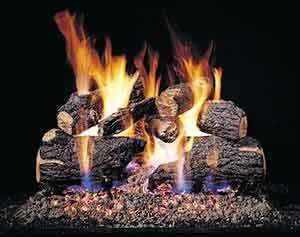 Sidewalls included with this package only come in WHITE. Colored walls can be purchased at an additional cost. ALSO INCLUDES TWO 20' screenwalls!! 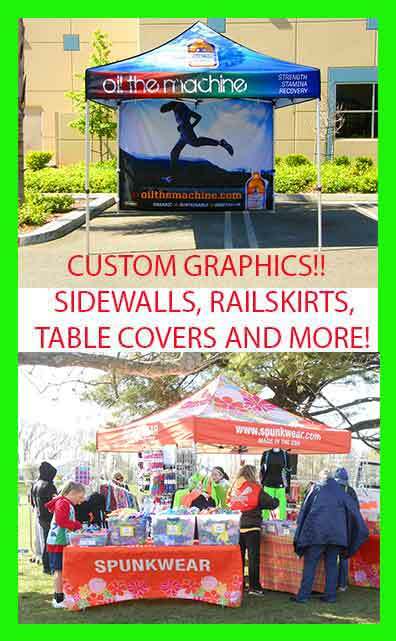 This Impact Canopy Display DS Pop Up Tent is perfect for Arts and Craft Shows, Swap meets, Flea Markets, Garage Sales, Fairs, Bake Sales, Camping, Sporting Events, Picnics, Parties, and much more! 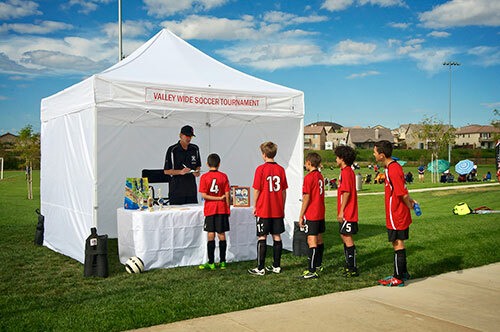 Because it is quick and easy to set up, it can be used as a home base for the day at the beach or on the football/soccer/baseball field. The DS is unbeatable! 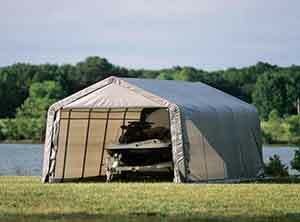 You get sidewalls and meshwalls to give you plenty of options of setting up your canopy. Two (2) Polyester Screenwalls. The bottom and side lining are made out of polyethelene. Screenwall dimensions are 20' x 80". 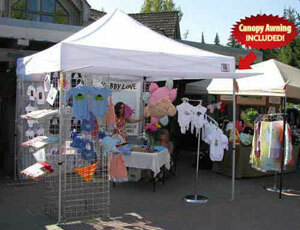 They wrap around entire canopy! 62" X 9" X 9"